The new Moto 360 (2nd gen) may be right around the corner. A device, which certainly looks like it could be the next Moto 360, just stopped off at Bluetooth SIG to receive qualification and to make sure it complies with current Bluetooth licenses and specifications. 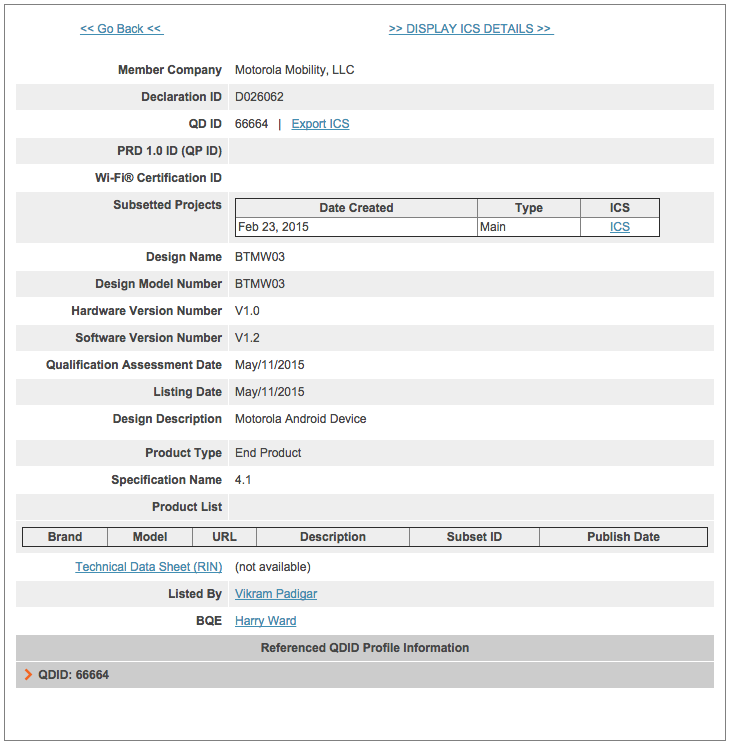 According to a listing on Bluetooth SIG’s website, a product made by Motorola under the design model number BTMW03 was assessed yesterday. Of course, the listing doesn’t reveal many details, other than the fact that it is equipped with Bluetooth 4.1 and is a “Motorola Android Device.” What we do know is that last year’s Moto 360 was listed under design model number BTMW01, which is too damn close to this product’s design number to be something completely different. It’s also listed as an “Android” device, so we aren’t talking about a speaker or headset or Moto Stream audio product. I should point out that the original Moto 360 showed up at Bluetooth SIG in August 2014, days prior to Motorola announcing the device’s availability at a private event in Chicago. I don’t want to get your hopes up and say that Motorola is on the verge of announcing this one, but you also shouldn’t be surprised if they do. 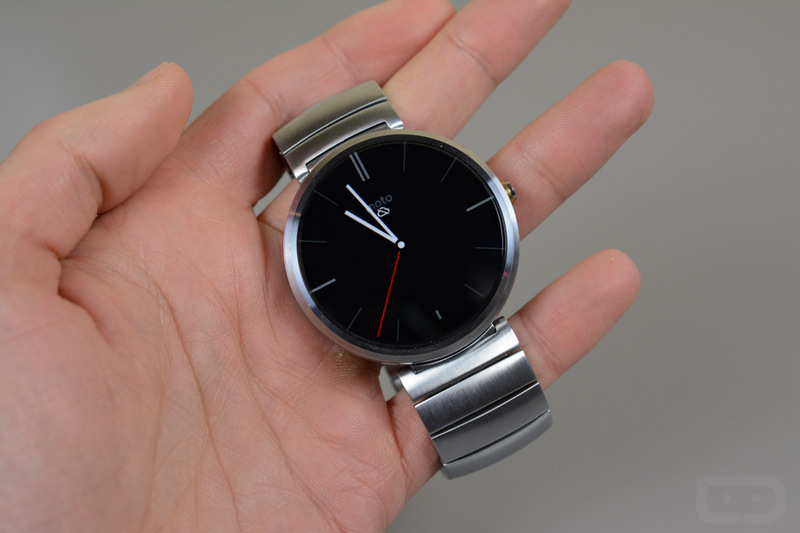 Google I/O pops off in a couple of weeks, and last year, the original Moto 360 was one of the stars of the show.